Hello there, Vixens. 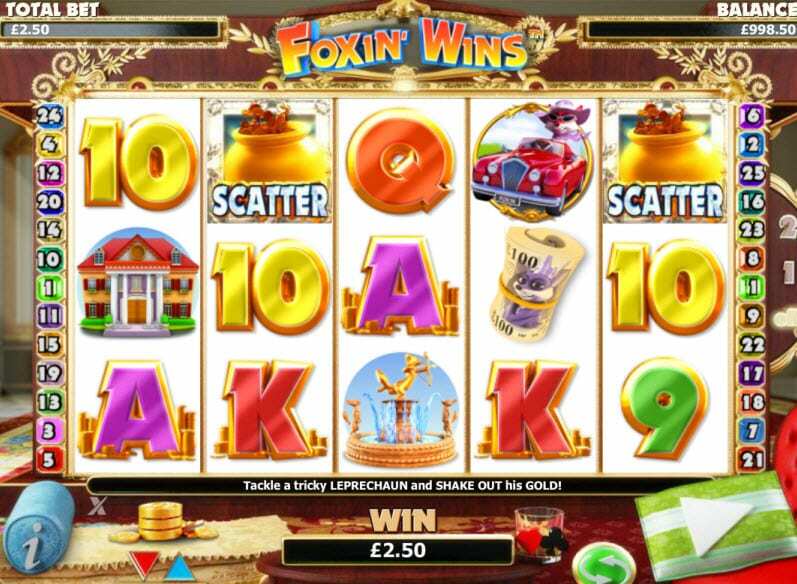 If you’re cunning and smart join the quick-witted foxes and accumulate your wealth with this popular five reel slot at your favourite slots play site. 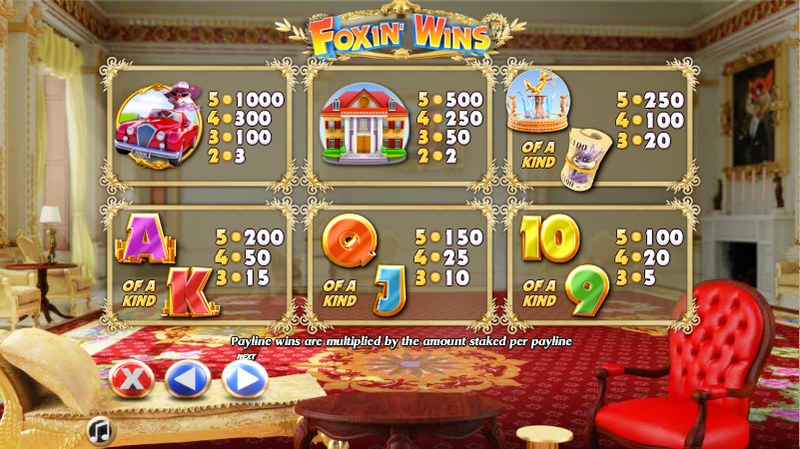 Foxin' Wins allows you to place your Fox Pups on each symbol creating enormous wins and instant cash prizes. 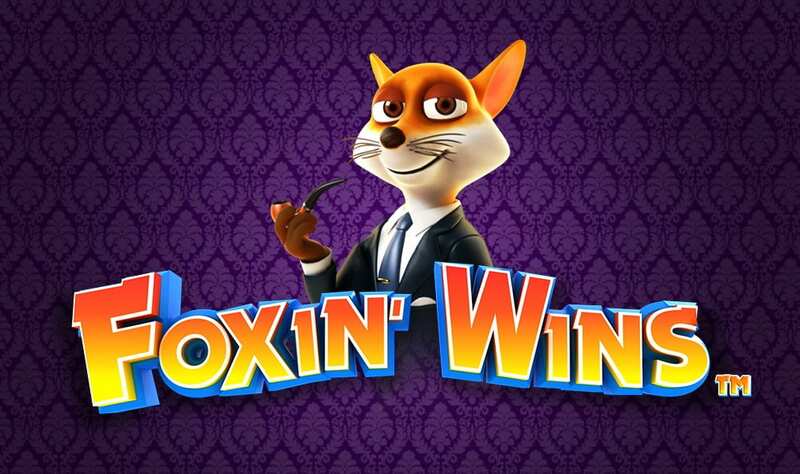 Foxin' Wins is one of our most popular slot games here at Wizard Slots casino. It is brought to you by our established and trusted games developer – NextGen Gaming. There is a luxurious air to this game that centres around the game’s mascot – an extravagant and cunning fox! NextGen has a reputation in the industry for high performance and stability. The games they produce are great fun with lots of quirks and nice bonus features. Foxin' Wins is one of NextGen’s most popular games and we have compiled full details of it below. 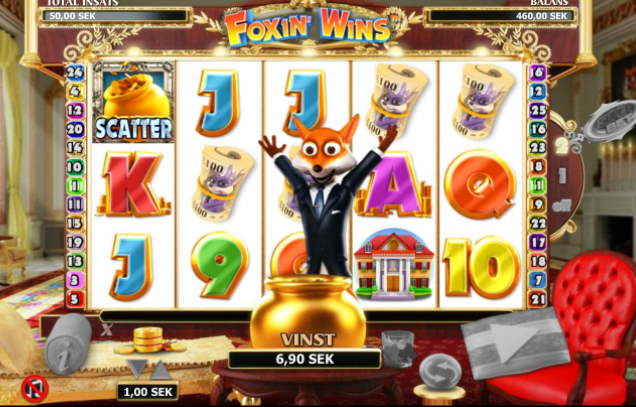 Foxin' Wins is a five-reel slot consisting of a whopping 25 pay lines. The background to the game is a very lavish living room that gives a sense of luxury and mystery – helping to convey the potential of a big win. Aside from being in the best-rated online slot games list, it is a very user-friendly game and playability is huge! You are able to stake from £0.10 to £50 so whether you’re a low-level player or a big hitter then this one is for you! Please always remember to gamble responsibly though and do not spend beyond your means. Visually this game is up there with the best on the market. The artwork and graphical content is superb. The reels consist of your typical letters and numbers combined with piles of cash, a palatial backdrop, and most importantly, the highbrow fox himself, together with a number of other interesting symbols. In terms of bonus features, Foxin Wins is true to form of many other NextGen games with its generosity and flexibility. As usual, the bonus features are triggered by landing certain symbols on the reels – so keep a lookout for them! They generally consist of expensive items that you could perhaps only afford if you’re lucky enough to win big in this game! The fox himself represents the wild symbol and the scatter is a wonderful pot of gold! The game also consists of a “super bet” feature in which the fox gives you even more opportunity to create wild combinations. The game enables the player to choose how many coins they want to use to contribute towards this feature. If you are lucky enough to land three or more of the pot of gold scatter symbols then brace yourself for free spins galore! 3 scatters awards 10 free spins and the scatters aren’t linked to a certain payline, they can fall anywhere on the reels.